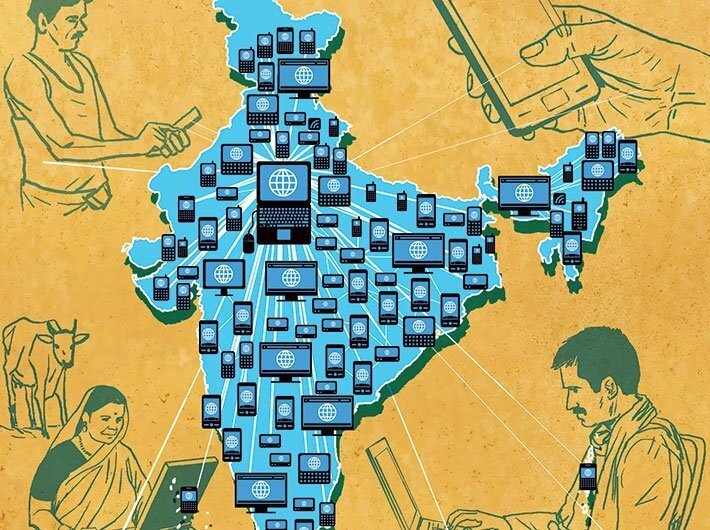 Taking note of the slow progress in the execution of the plan to provide high speed internet connectivity to all village panchayats, government think tank NITI Aayog has urged the department of telecommunications to “rapidly complete” the BharatNet project. It made these observations in draft ‘Three Year Action Agenda’. Under BharatNet, the government had to provide 100 Mbps connectivity to 2.5 lakh gram panchayats (GPs) using optical fibre network. Under phase one, ending March 31, 2017, 2.2 lakh km underground optical fiber was to be laid down to connect one lakh GPs. “But as of March 5, 2017, only 1.76 lakh km of fibre had been laid down with 77.8K GPs connected,” the draft report said. In the second phase that is to be completed by December 2018, the report said, all 2.56 lakh GPs are to be provided fiber optic connectivity. “During this phase underground fibre, fibre over power lines, radio and satellite are to be optimally mixed. In this phase, use will also be made of the electric pole network, on which electronic power lines are mounted,” the Aayog recommended. It noted that the access to the internet to be made available under BharatNet is a pre-requisite for enhancing other aspects of digital connectivity. “For example, two of the pillars of the DI campaign – e-Kranti and ‘Information for All’ – require GPs to access the internet. In this respect, the current progress of BharatNet is less than satisfactory,” the report said. To speed up bringing the fibre to GPs, the option to carry the cable on electric poles should be more aggressively pursued, the report said. “It is also important to plan for last mile connectivity. For this purpose, we must urgently provide policy support to ISPs such as Right of Way (RoW) permission and permission to promote access at select locations. We should explore commercial models to deploy Wi-Fi services. For example, we could facilitate arrangements between different ISPs to share infrastructure or transfer assets at the end of the contract period…. Our goal should be to bring 15Kbps connections to at least 30 percent of the rural household by December 2019,” the report said.